The members-only sale for October takes place on Friday, October 5 from 2:00 p.m. to 4:00 p.m. The regular sale open to the general public continues on Saturday morning, 9:00 a.m. to 11:30 a.m. With CFOL’s low prices, shoppers won’t be able to resist the many bargains of books, magazines, media, and other items. Books are also available for sale in the library’s lobby at fifty cents per item whenever the library is open. There are no better bargains for book lovers. Book sale hours on Fridays and Saturdays are not affected by the recent changes in library hours. 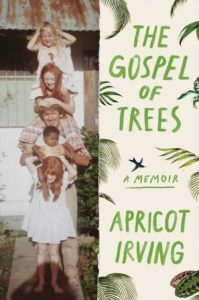 Apricot Irving will read from and sign her memoir, The G ospel of Trees, on October 11 at 6:30 p.m. in the Chico Library. 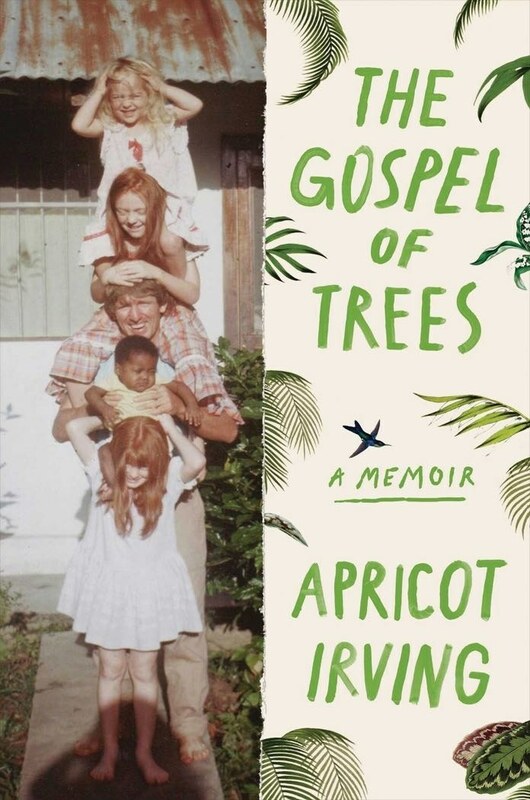 In an “eye-opening memoir” (People) “as beautiful as it is discomfiting” (The New Yorker), the award-winning writer untangles her youth on a missionary compound in Haiti. Read the book’s numerous 5-star reviews on amazon.com. Reserve the library’s copy here. The Butte County Trivia Bee for Literacy returns to the Sierra Nevada Big Room on Friday, October 26. Teams will compete for bragging rights as Trivia Champions of Butte County as they raise money for literacy programs. Doors open at 6:00 pm, and competition begins at 7:00 pm. Tickets, $30 each, are now on sale at Eventbrite.com. For more information call (530) 538-7198. With funding from Butte County, grants, and your CFOL, the Chico branch library’s Maker Lab is equipped and operative. Users can learn new skills or exercise existing talents with support from volunteers and students. Creativity and imagination are welcome! For more information, visit the Maker Lab and talk to library staff. Butte County has severely reduced the budget for books, magazines, and supplies for the entire county library system. CFOL has increased their support for books and magazine subscriptions to lessen the impact of budget limitations. This is possible thanks to your CFOL membership fees, book and cash donations, as well as your purchases at the book sales. On your next visit to the library, stop by the children’s Room to admire the four new chairs provided by your CFOL. Our childen’s librarians report that they are colorful, attractive, and comfortable. New book carts have also been funded by your CFOL. They are also colorful, functional, and smooth-rolling. Carts are a library necessity, as a substantial proportion of staff and volunteer time is spent moving books from place to place within the library. Your CFOL also pays for the annual license fee that makes the Sunday afternoon movies possible. Join the fun at 2:00 p.m. each Sunday except holiday weekends in the library’s meeting room. Consider becoming a library or book sale volunteer. Additional volunteers are always welcome to help with the book sales. Library volunteers perform many tasks within the library. See Oliver Allen at the Reference Desk for more information and for an application. Of course your book donations are always welcome. Graphic designer and CFOL Board member Max Infeld has designed new bookmarks available free to all library patrons and book sale attendees. With gentle reminders to support your CFOL, these attractive and useful bookmarks are available at the Circulation/Reference desk in the library as well as at the book sales. Share them with your friends and neighbors and help increase awareness of CFOL’s contributions to the Chico branch of the Butte County library. To join your CFOL, pick up a membership form at the library or online at tiny.cc/joinfriends. Cash donations can be made online at tiny.cc/donatefriends. New reduced Chico branch library hours are now in effect. On Tuesdays, Wednesdays, and Thursdays the library will be open from 10:00 a.m. to 6:00 p.m. Friday and Saturday hours are now 10:00 a.m. to 5:00 p.m. Sunday hours remain 1:00 p.m. to 5:00 p.m. The library is closed on Mondays. Despite these shortened hours, story times and other patron-favorite programs continue. Visit the library for a complete schedule of adult, teen, and children’s programs. There is never a dull moment at your Chico branch library! Are you and your friends receiving the Butte County Library newsletter? Keep up with special events, new books and DVDs, activities and learning experiences offered, and other news delivered to your email inbox. Ask any library staff member to update your library account so you can receive the monthly newsletter.